Cardiac rehab, designed to strengthen the heart and lungs, is often prescribed to those recovering from a heart attack, stent or angioplasty, open heart bypass or valve surgery, stable angina, peripheral vascular disease and cardiopulmonary conditions. Staffed by specially trained therapists and physiologists, cardiac rehab looks similar to a fitness center, with treadmills, stationary bicycles and other familiar equipment. However, patients partake in a custom-tailored program of monitored therapy to improve endurance, strength and quality of life. Broken into three phases, Phase I starts when the patient is still in the hospital recovering. Once a patient has been released from the hospital, they begin Phase II of cardiac rehab – a supervised program of monitored exercise therapy. Typically three hours of therapy per week for 12 weeks, the patient completes exercises on treadmills, bicycles, rowing, arm ergometers, stair machines and weights while his or her vitals, pulse and blood pressure are being monitored. A therapist provides extensive education on risk factors, behavior and nutrition and tracks overall progress. 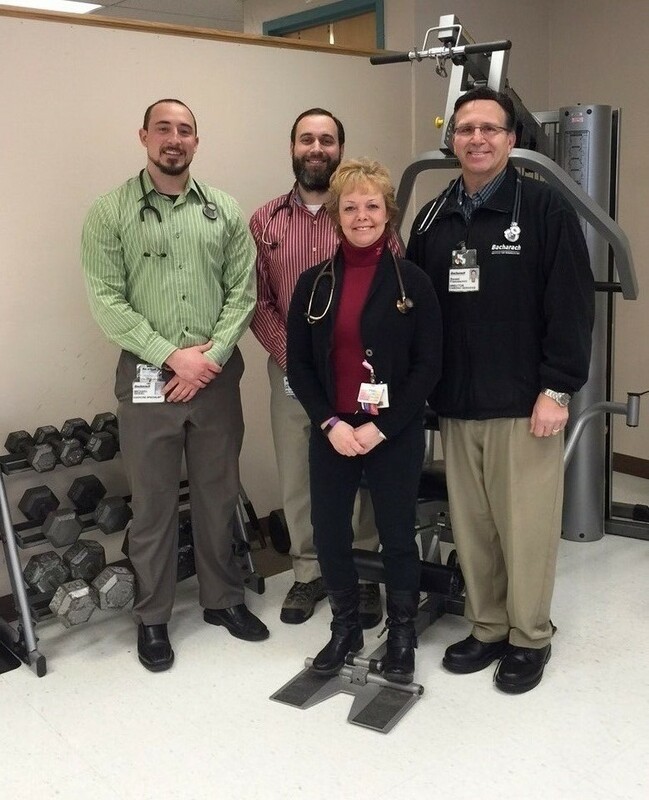 After graduating from Phase II, the patient begins the final phase of cardiac rehab. A continuation of Phase II that is designed for carryover at home, Phase III consists of a therapist monitoring blood pressure at rest and during exercise and making adjustments to the exercise plan as needed. If a patient wishes to continue their therapy with the presence of medical staff, they can join the cardiac maintenance program at Bacharach for $45 a month. For cardiac patients suffering from ischemic heart diseases, such as angina and heart failure, Bacharach is the only facility in the region to offer Enhanced External Counterpulsation (EECP) therapy, a revolutionary non-surgical cardiac treatment system that manipulates the blood pressure and improves blood flow. To learn more about Bacharach’s Ruth Newman Shapiro Cardiac Rehab Center or EECP, please call 609-748-2091 or join us Thursday, February 11 at 3 p.m. in the Cardiac Rehab Center for our Cardiac Support Group.